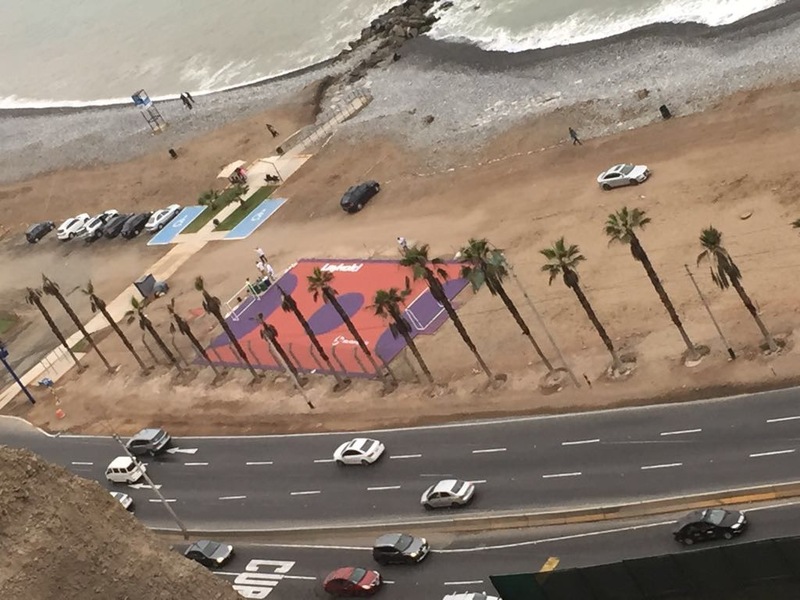 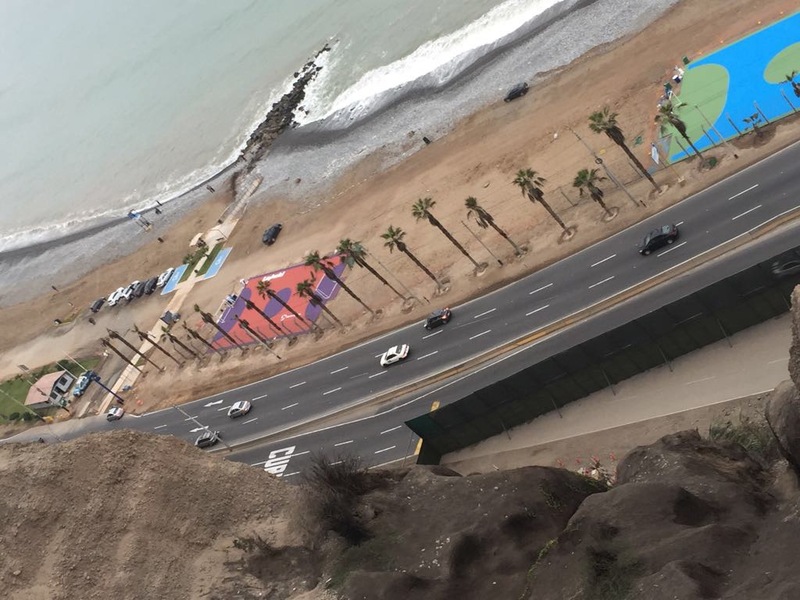 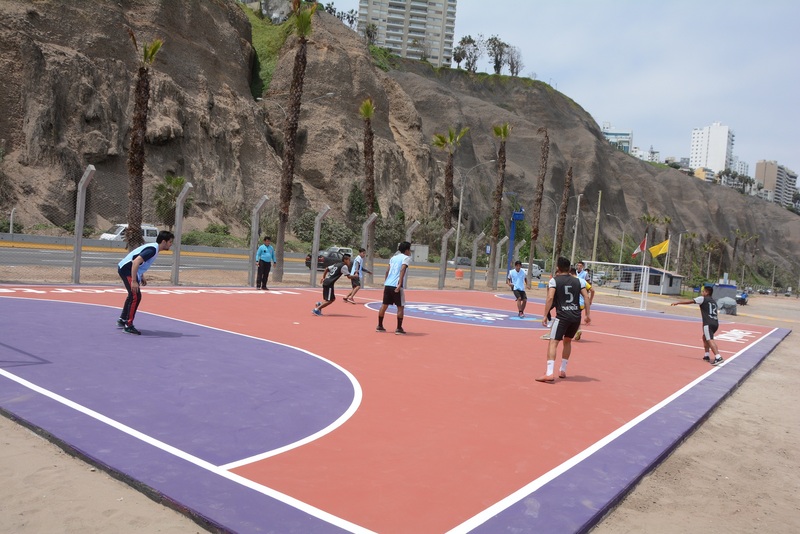 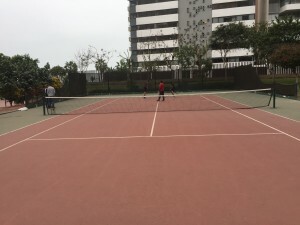 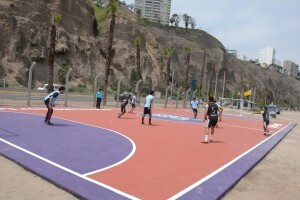 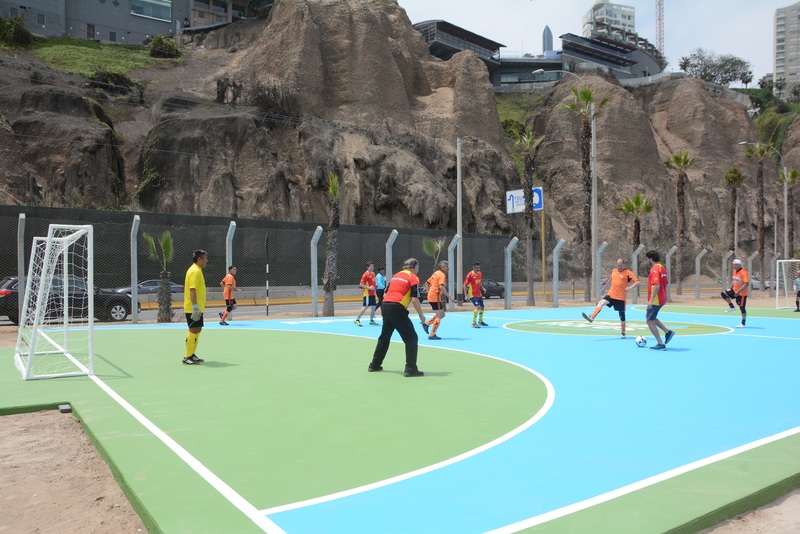 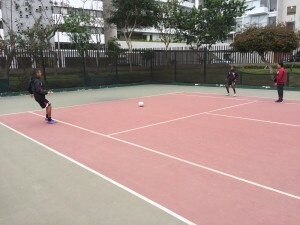 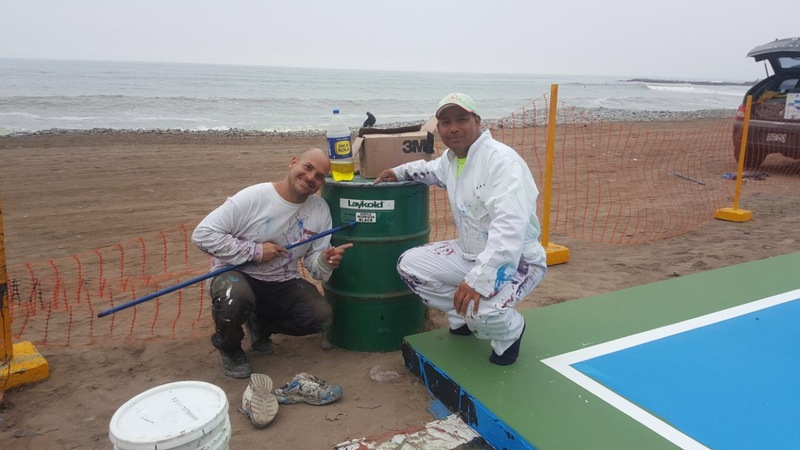 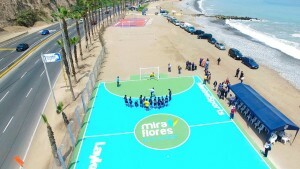 In an effort to promote health and sports to the region, the Municipality of Miraflores in Lima Peru sought ways to rejuvenate two unused concrete sport slabs at Redondo Beach, in the beautiful Costa Verde area. 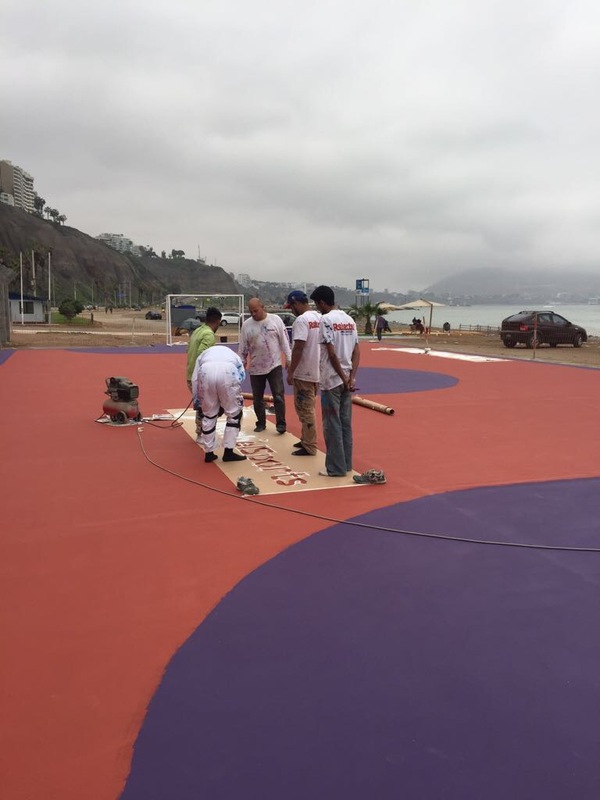 The first sport slab being an official professional measurement, and the second slab being amateur measurement. 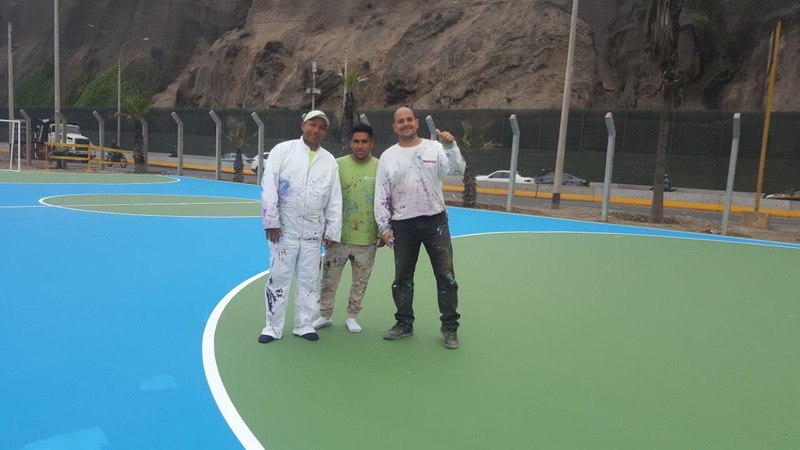 Team Laykold partner Menbel Sports, native to Peru, was quick to lend a hand in the effort, offering their installation services at no cost. 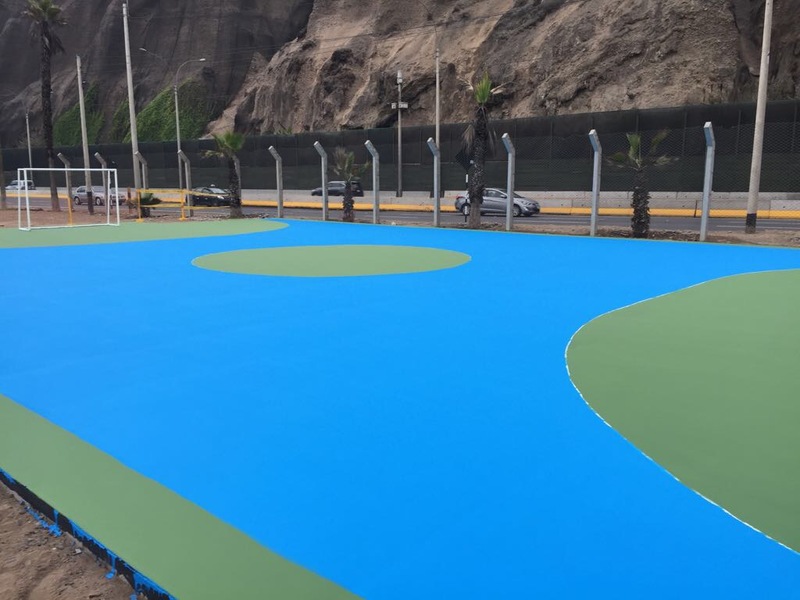 APT – Advanced Polymer Technology, the manufacturer of Laykold acrylic court surfaces, also jumped in to assist on the project by donating all materials. 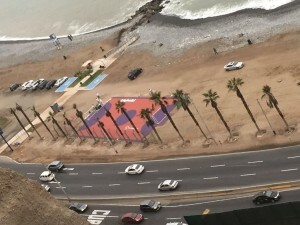 In fact, Laykold is no stranger to the area. More than 15 years ago, one of the courts at Canchas Municipales de tenis was surfaced with Laykold. Of all the courts in the park, the Laykold court is still performing as though it were a brand new surface, even after almost 20 years! 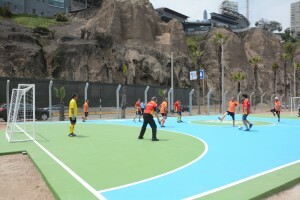 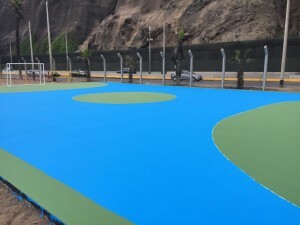 Now that the installation is complete, these colorful new Laykold sports courts can be seen from the popular Larcomar shopping mall, located on the hillside just above. Laykold is happy to have assisted the town of Miraflores in the first of many sports projects to promote a happy and healthy lifestyle for the people in the local community! Congratulations on your new Laykold sport surfaces!